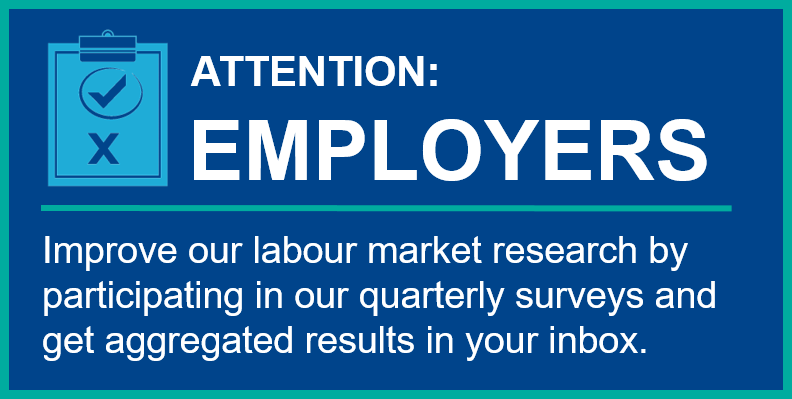 This week, the in-demand job is: Material Handlers. Material Handlers handle, move, load, and unload materials by hand or using a variety of material handling equipment. They also sort, store, and issue parts and supplies for use by the establishment in which they work and for sale to the public. 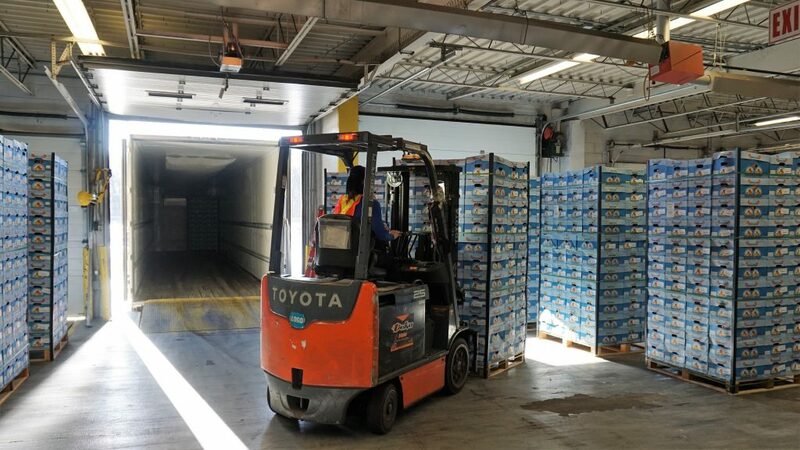 Material Handlers may operate equipment such as industrial trucks or tractors, to transport materials to and from transportation vehicles to loading docks. 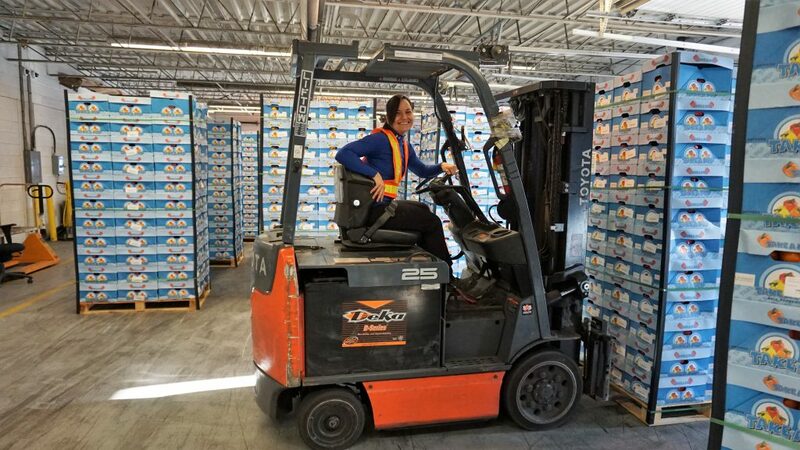 We spoke with Corrie, who is a Forklift Driver for E.P.C – Employment Professionals Canada at C.B.S.A- Canadian Border Services Agency. She offloads and reloads transport trucks for the Border Officers who inspect trucks at the border crossing. I come in, do paperwork, I record hours and record number of trucks from the previous day. I breakdown the information for the office, and fax it all over. Then I wait for a truck to come in. When the truck comes in, I go take pictures of the truck and put the glad-hand lock on the air-line. The air-line connects the trailer to the truck, and the lock prevents the truck driver from driving. Then the driver comes in, and I process payment. I get method of payment, and fill out that paperwork for the office, and punch in the time. Then I start the offload, remove all the skids, and punch the clock again, because my part is paused. Next, the officers come in, and they look at the load, and do their job, and they let me know when I can load it all back on. I punch back in, and load it all back on, just the way I found it. I take pictures, and take the lock back off the truck. The last step is faxing the paperwork and pictures over to the office, and getting ready for the next truck. After high-school, I was a General Manager at a Subway, and then I took customer service position at Bedells Food Distributor. 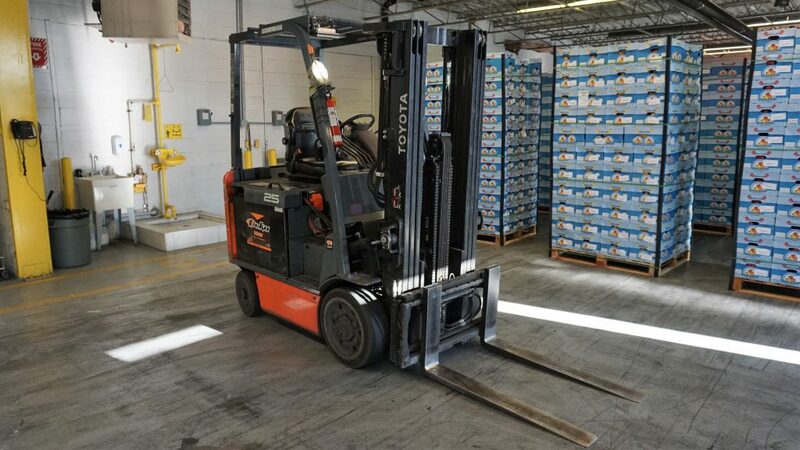 About 8-9 years ago while working at Bedells I got introduced to the forklift, I turned out to be rather good at that, and worked the whole dry area at there as a forklift driver, by myself. There were two other guys who took care of the two other areas, and we all worked together as a team, it was really great. That company got bought-out and downsized unfortunately, and sold everything off, and closed. So a year ago I took this job, and I’ve really been enjoying it. I enjoy hands-on work and I love that this is a unique place to work, where I get to see something new everyday. I like being able to jump on the forklift and go, when people think I can’t. It’s empowering to complete a complicated off-load quickly. I like a challenge. Some of the trucks come in, and they’re really different loads. Some come in and they have lots of different levels of load bars, separating the products from others. You have to put it back exactly the way that you took it off, and you have to remember where exactly everything goes. I’m definitely using my brain. It’s a mix between a memory game, and a game of Tetris. Again, I enjoy the challenges. I would say some of those difficult trucks maybe. Some are a fun challenge, and then others are a more frustrating challenge. 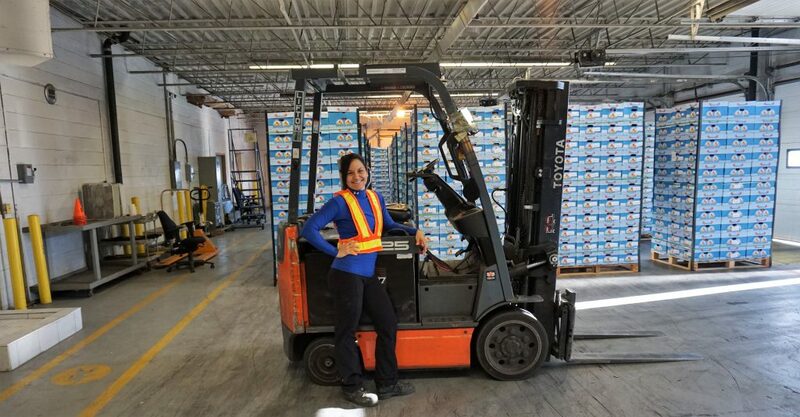 Another challenge is that sometimes we have items that need to be offloaded by hand and this can be physically challenging- depending on the weight of the items. Its is also more time consuming. Do you find that you experience any challenges working in a male-dominated work-space? The truck drivers are definitely always surprised to see a female here on the dock. I just smile and do my job. “This isn’t my first rodeo. Don’t worry, your truck will be exactly the way you left it.” Sometimes a driver will look at my male coworker and address him, and not me, even if I’m doing the offload. I just brush it off and do my job, I’m a super easy going person. I just smile and carry on. What sort of training was needed for your job? A Forklift Training Program and Certificate was required for the job. We re-certify every three years to keep our certificated up-to-date. Forklift Certification is valid for 3 years. 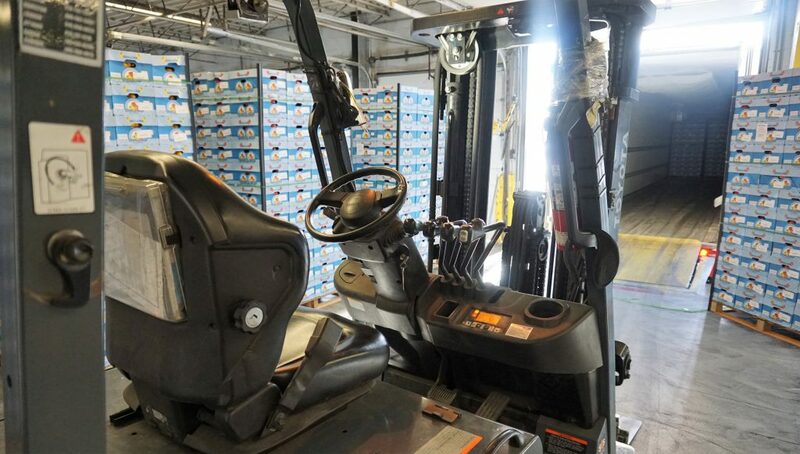 The training teaches proper forklift operation techniques, loading and unloading safety procedures, emergency prevention and response, rules and regulations etc. Like with any other job, the hands on experience makes me good at the job, the more I do it the more I get better at it. It is something I can see myself doing long term, it isn’t terribly demanding on the body, so I could do it for a while. Self care is definitely important. Staying physically fit, stretching, getting massages and staying happy and healthy for the long term. I do really enjoy it, this is a great job. What advice would you give to someone interested in forKlift driving? Get your foot in the door and get some experience. If you can take the opportunity to drive a forklift then do it! Forklift driving is something you can do with no College or University background, but you do need a licence. This forklift job specifically is definitely unique, most forklift jobs are moving items around a warehouse. I get to deal with trucks, because Windsor is the busiest Canada/US commercial border crossing, with thousands of trucks crossing the bridge each day. You can learn even more about Material Handlers through our detailed Career Profiles.